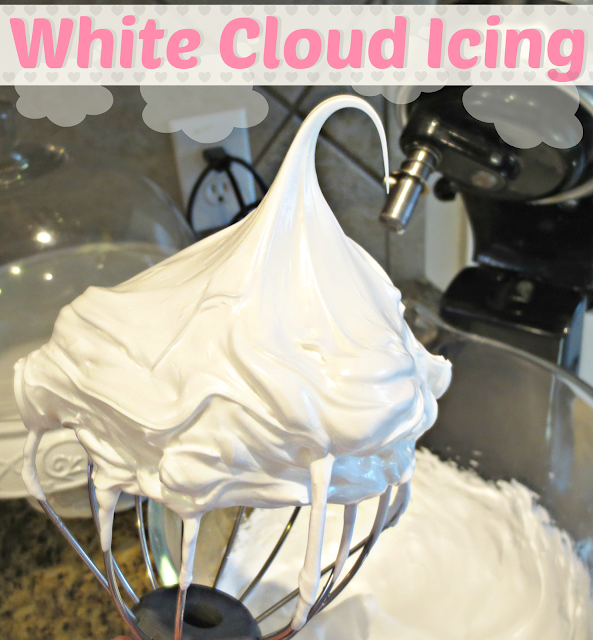 This icing recipe is out of this world! It's so light and and totally reminds me of fresh marshmallow. The best part? It could not be easier to whip up! Put this on your must-try list and make it asap! In the bowl of a stand mixer, add your egg whites and salt and beat on high speed until it turns foamy. Leaving the mixer running, slowly pour in your sugar and beat until semi-fluffy. In a small saucepan over medium-high heat, bring your corn syrup to a boil, and then very slowly pour it into your egg white mixture while mixing the mixture on high. Once you've added it all, add in your vanilla and then beat the entire mixture on high for about 5 minutes, until stiff peaks form. * From my personal experience with this icing, it will last 2-3 days. I used it for whoopie pies and I had them stored on a cake stand with a glass dome over it.